Okay… We work for companies where public image is very important. So important, in fact, that we have teams hired to deal with crisis management. Yes, although these teams are experts in crisis management, they do make mistakes, too. But, this list of 10 unexcusable mistakes in a crisis are so important for these teams to follow. If one makes one of these mistakes, they are putting their company at a great risk to fail. 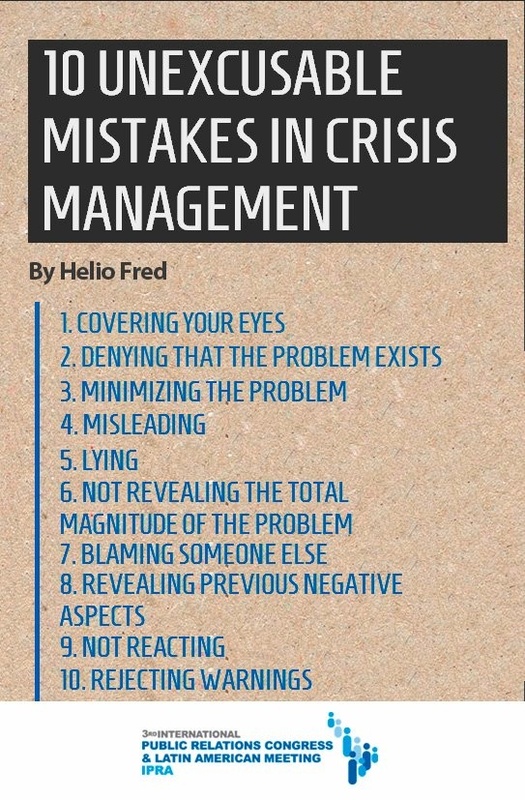 So, when managing a crisis, keep this list in the back of your mind to avoid making an unexcusable mistake.